If you're ever looking for great minimalist style inspiration, look no further than street style star and stylist Annina Mislin. This outfit in particular is perfect for spring and we plan to recreate it ASAP. 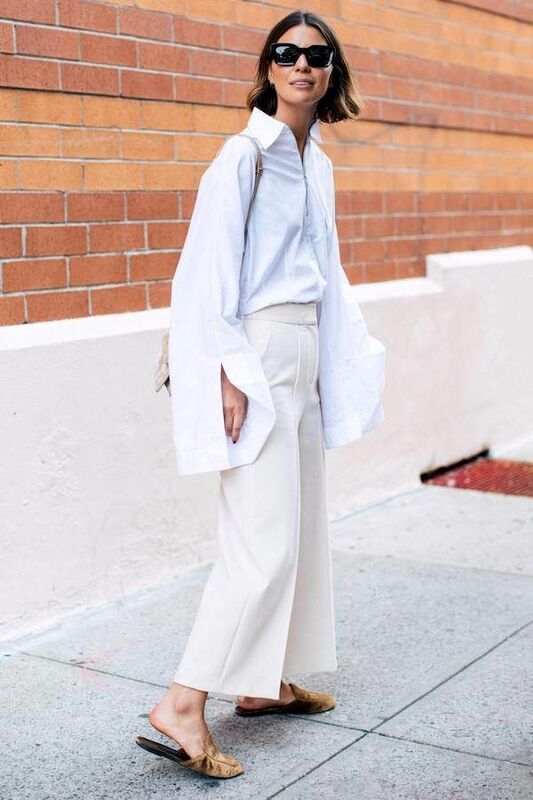 To pull off the look you'll need a chunky square sunglasses, a white top with exaggerated cuffs, beige cropped wide-leg pants, and a pair of elegant mule flats. We found some options to get you started—shop them below.